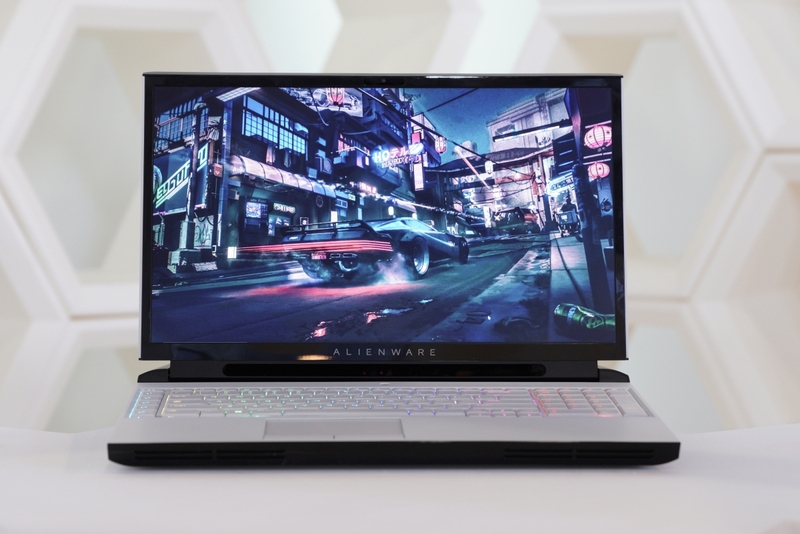 The big picture: The Area-51m, designed around the company’s new “Legend” industrial design language, is Alienware’s latest flagship notebook. It’s unique in that it features a user-upgradeable, desktop-class CPU and GPU (more on this in a bit) in addition to the usual upgradeable components like memory and storage. Out of the box, it can be configured with up to a 9th generation Intel Core i9-9900K CPU, an Nvidia GeForce RTX 2080 GPU, 64GB of DDR4 memory and multiple storage configurations including RAID0 options. About the only thing on the Area-51m that can’t be upgraded is the display. The 17.3-inch screen with 1,920 x 1,080 resolution can be ordered with up to 144Hz refresh rate and Tobii eye-tracking technology but whatever you order, you’re essentially stuck with. As The Verge highlights, Alienware has gone to great lengths to make the system easy to work on. There are labeled guides printed right on the laptop frame and specs for screws should you misplace them. Heck, there are even pull tabs for easy cable removal and instructions on how to properly torque down the heatsinks on the CPU and GPU. While I applaud Alienware for trying something different, I can’t help but think it’s all for not. Allow me to explain. The CPU is indeed easily upgradeable with any compatible off-the-shelf processor. The catch, of course, is that it needs to be compatible with Intel’s Z390 chipset. Future CPUs – I’m talking years down the road – won’t be, which kind of limits your upgrade path. Furthermore, the GPU uses the proprietary Dell Graphics Form Factor (DGFF). There’s no guarantee that this form factor will stand the test of time (odds are, it won’t), which again, limits your GPU choice down the road. In fairness, Alienware is well aware of these shortcomings. Co-founder Frank Azor told The Verge that this absolutely isn’t a mass-market machine. “If customers don’t show demand for it, it’ll be a novelty and then it’ll fade away,” he concedes. It would be remiss of me not to mention the fact that modular laptops are counterintuitive to a manufacturer’s business model. They’re going to make more money selling you a new laptop then trying to extend the life of your existing machine. As much as we’d like it not to be the case, most modular electronics simply don’t work. The Alienware Area-51m ships on January 29 starting at $2,549.